Small Businesses Feel Italy's Debt Woes The financial markets will be keeping an eye on Italy this week. The country is plagued by high debt and rising interest rates, and the new government faces steep fiscal challenges. Italy is a country of small and medium-sized businesses, and the debt crisis is making it much tougher for them to hang on. Enrico Frare owns a small clothing company in Italy. He says it's so difficult to get credit in Italy right now that some businesses are being forced to leave. Enrico Frare isn't a well-known name in Italian business. 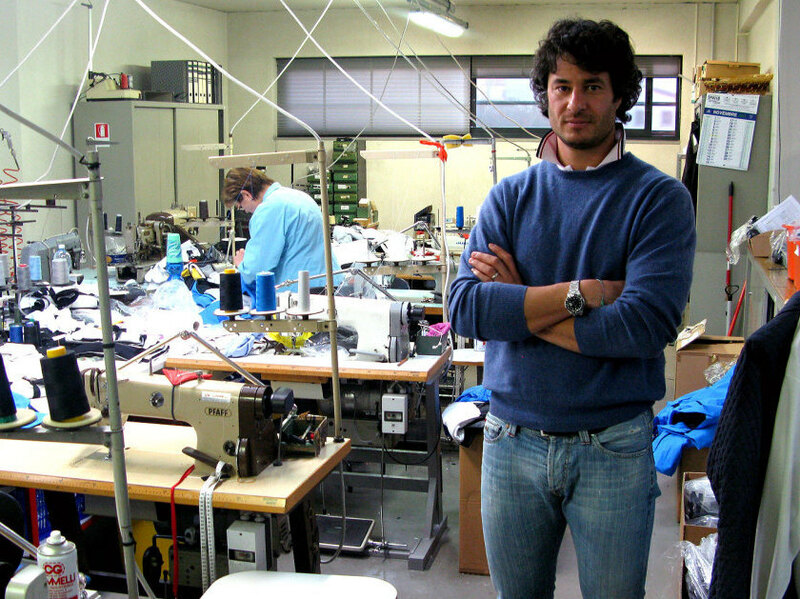 The 36-year-old runs E-group, a small clothing company in the commercial region around Treviso that makes winter sportswear. But last month, Frare did something that attracted a lot of attention. He bought a full-page ad in Milan's main newspaper appearing in what might politely be called his birthday suit. The caption read: "Every day in Italy an entrepreneur risks losing his shirt." "Every businessman puts himself into his product," Frare says. "I decided that in a difficult time like this, I had to put my body in it as well." Frare was trying to draw attention to the difficulty Italian businesses are having getting credit right now. He says he has orders from retailers he can't fill because he can't get a loan. "I want to underscore that in a difficult time like this, if you can't get credit, it blocks production, creates unemployment and prevents you from doing research and development," he says. Frare's methods are unorthodox, but his sentiments aren't. Italy's many small and medium-sized businesses have long complained about how hard it is to get credit. Economist Francesco Giavazzi of Bocconi University says in other countries, businesses raise money through the stock market or investment banks, but Italian companies tend to depend on commercial banks. "These are not investors that are going to invest in an idea," Giavazzi says. "No, they say, 'Do you have a building to put up as collateral for my loan?' And these entrepreneurs often have good ideas but they don't have collateral needed for that." With the debt crisis, banks have become even more reluctant to lend, and when they do, they charge higher interest rates. Gianfranco Librandi, who owns an electronics company and also started a small political party, says the credit crunch makes it harder for Italian companies to compete in the global economy. "It is a big problem, and many companies close because they don't have money to buy new tooling to do new projects, and that is the only way ... to export or have new projects," Librandi says. To compete, many young businesses have headed north to Switzerland or Austria, where the system lends more support to entrepreneurs. Enrico Frare doesn't want to do that. "I'm an Italian, and I believe in my potential and in my products, and in Italy there are a lot of young entrepreneurs who have talent," he says. "And I don't see why I have to leave this area to work and come back just for Christmas or vacations." But without more access to credit, companies like Frare's will have trouble growing, and it will be a lot harder for Italy as a whole to emerge from the fiscal trap it finds itself in.